Assumption, the only church left standing, still holds a weekly mass for about 50 parishioners, who are mostly former Centralia residents. The Assumption of the Blessed Virgin Mary Ukrainian Catholic Church stands on a hill above what remains of Centralia, Pennsylvania. 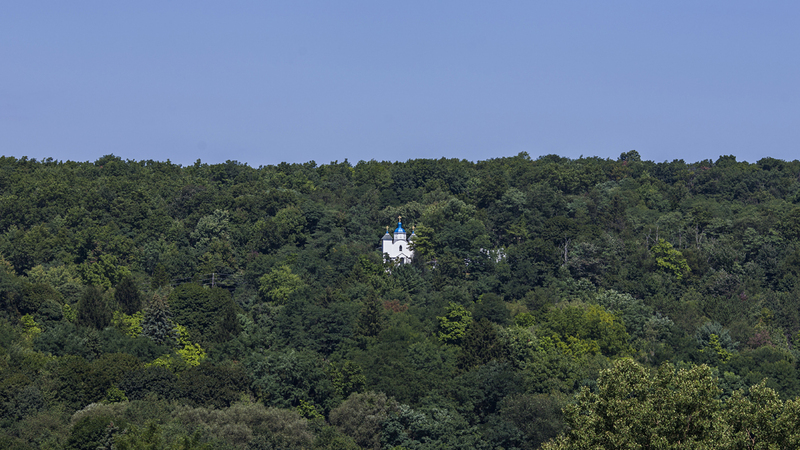 The small, white building and its bright blue dome might be unremarkable in another town, but the Primate of the world-wide Ukrainian Catholic Church, Major-Archbishop Sviatoslav Shevchuk, was so moved when he visited in November 2015 that he designated the church a holy site of pilgrimage. Many smaller cities and towns across Pennsylvania have faced shrinking populations over the last few decades, but Centralia is an extreme example. The borough was largely evacuated in the 1980s because an out-of-control, underground coal fire was threatening the health and safety of residents. Today, only about a half dozen people live in the town, down from 1,000 in the 1950s. 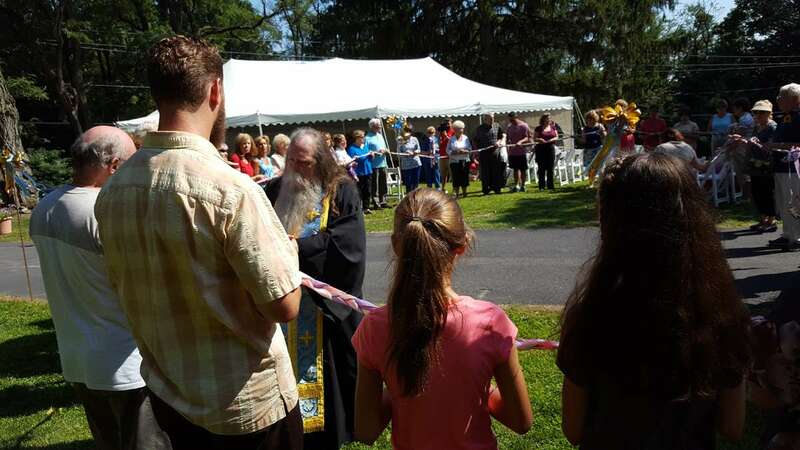 During its first pilgrimage event on a Sunday in late August, the tiny church was overflowing with followers of Ukrainian Catholicism. But former residents and their family members have been treating the church as a pilgrimage site for far longer. Tina Miles of Bethlehem goes at least twice a year to visit her grandmother’s grave in the small cemetery up the hill from the church. Miles carried a picture of her grandmother and great-aunts with her through the pilgrimage ceremonies, so they could be a part of it. She said supporting the church is a way to continue her family’s legacy. 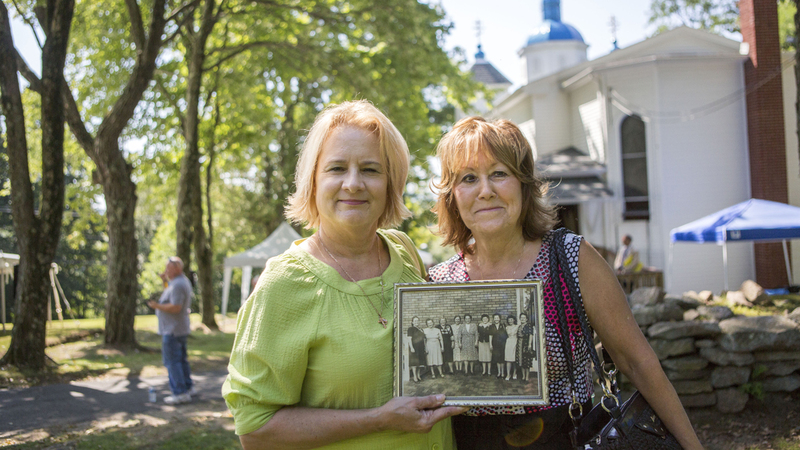 The church was intertwined with the lives of many Ukrainian Catholic families living in the small mining community. Bernadette Hutnick lives in Miami now, but she made the trek home to celebrate her parents as well as her grandparents, who helped raise the money to build Assumption. She says growing up in Centralia helped her strengthen her faith alongside her family. 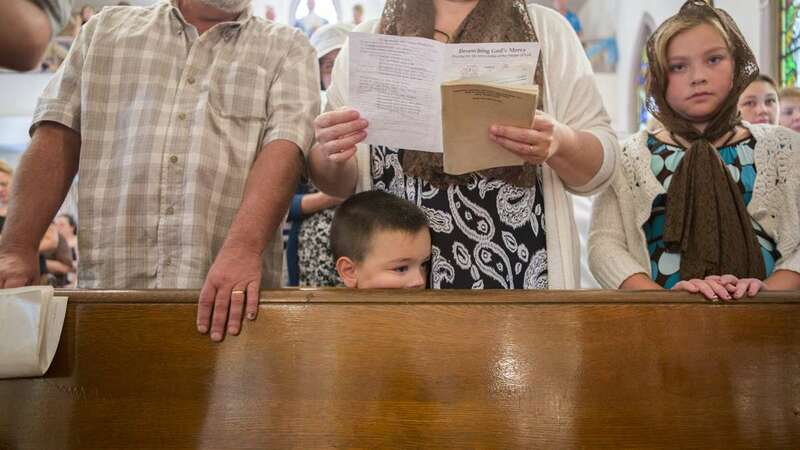 For people who remember the town before the fire started, the church serves as a reminder of loved ones, memories, and traditions they all shared. The tradition and heritage of the church is what keeps former altar boy Joe Lapotsky coming back regularly. Growing up, he could hear the hymns from Assumption’s high mass from his backyard. It’s important to him that this church stands where nearly everything else is different. 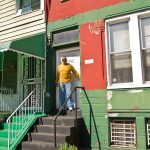 To Temple University professor of religion Dr. Terry Rey, the fact that the church has survived in a town where six others were forced to close is significant. It’s made more significant because many other churches across Pennsylvania have closed due to shrinking congregations. 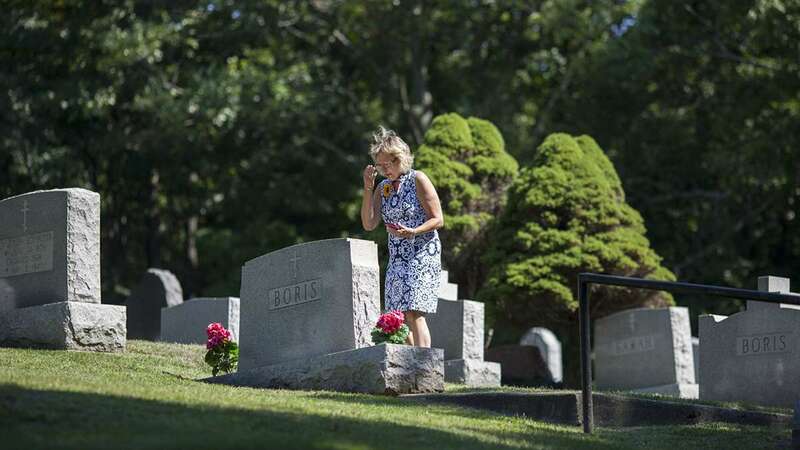 Nostalgia can be painful in the case of former Centralia residents, who were forced out of homes they never wanted to leave by an underground coal mine fire, they feel, could have been avoided. The recent pilgrimage seemed bittersweet to those exhausted by years of media attention and a fight for the place they love. 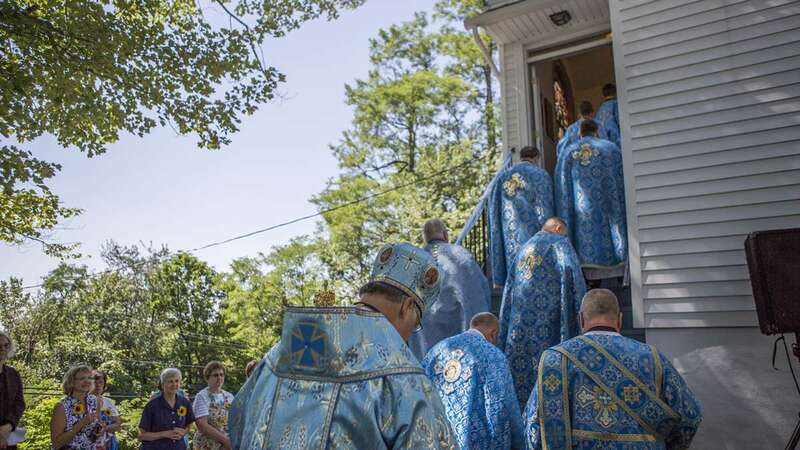 Church leaders say Assumption was built on rock by some of the original Ukrainian Catholics in the United States. On that bluff in Pennsylvania’s coal region, the church is safe from the underground fire and a home for those who shared in countless moments of joy and sadness. 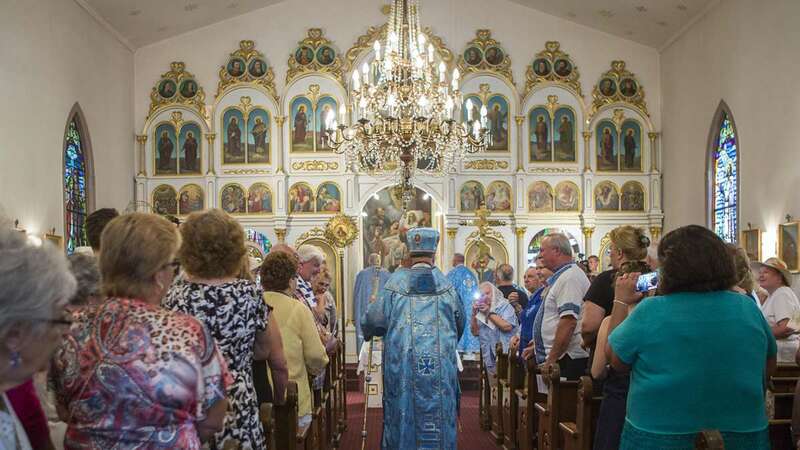 Steadfast parishioners are hoping their bonds to the place are strong enough that they can pass their memories and culture through the generations and keep their church standing through whatever comes next.